Check out the PCA Goodie Store Merchandise Online NOW. 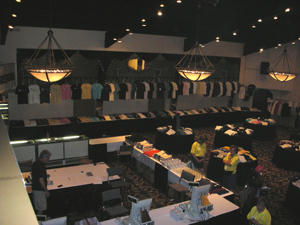 The 2011 Porsche Parade Goodie Store will be held at the Convention Center. The Goodie Store will offer participants a variety of Porsche-related clothing & merchandise. 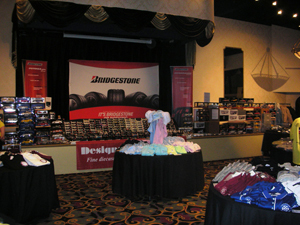 Some items will contain the unique 2011 parade logo while others will be general Porsche items from PCNA and logo items offered by PCA. Unique jewelry, model cars, books, posters, shirts, jackets, caps & more will be displayed & offered for sale. All will be of high quality & desirable items designed to enhance enjoyment at the many events offered during the Parade. Cash or credit cards will be accepted for payment. All customers must display either their Parade Badge or club membership card in order to get into the Goodie Store. The Goodie Store will be open every day beginning on Aug 1 (through the rest of the week). If you are just visiting for the day, don't forget your PCA membership card! The hours of operation will be posted at a later date.